After a slightly unexpected blogging break due to illness I feel a little overwhelmed about how to get started again. There's so many photos in my camera roll to sort through and so many posts I want to write. I still have restaurant reviews from London to write, recipe posts to sort through, stories to tell about our new adventures in Abu Dhabi posts as well as a tonne of crafty projects to share. But I thought I would start off with a bit of a combination of all of these things and write about one of my most favourite places.... Fortnum & Mason, but not the London store. When we lived in London, going to F&M was my number one place to take tourists because it is my absolute favourite store in London. Forget Harrods or Selfridges, a 5 story building founded as a foodie-haven is pretty much my entire dream land. When we found out we were moving to the Middle East I began to feel a little nostalgic about leaving some of my favourite little eating spots in London that we had become regulars at. But then, I discovered that there were two branch of Fortnum & Mason in the entire world, and that the second locale just so happened to be a mere 45 minutes away from our new destination. 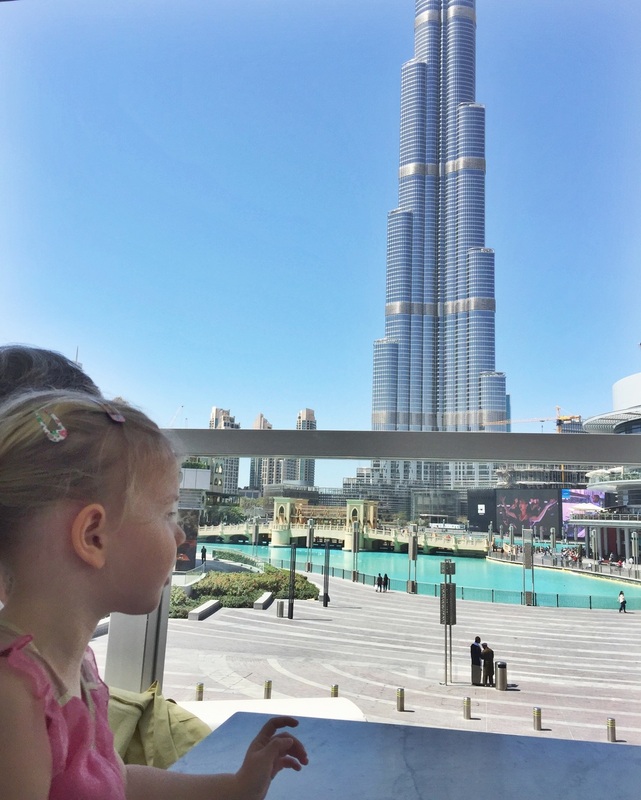 It didn't take us very long to put Fortnum & Mason Dubai on our wishlist, and so one weekend in February we popped on down to Dubai for lunch. Set in Downtown Duabi opposite the worlds tallest building, the Burj Khalifa, Duabi's F&M is a beautiful taster of the historic British landmark. It was a gorgeous day so we dined alfresco, towered over by the majestic Burj. After lunch we went upstairs to The Parlour. Because, wait, what am I saying, there's no reasons needed for having ice-cream. After indulging in a rather embarrassing amount of dairy goodness, we collected some of my favourite preserves and teas on our way out to explore a little more of Dubai. Fortnum & Mason Dubai was filled with all the charm of the Piccadilly store, including the beautiful pastel colour scheme and elegant displays. I think the one thing that F&M Dubai has over F&M London though, is that the ice-cream parlour in Dubai is not only luxurious, but because of the perpetual warmth of the Middle East, it is a necessity. And when something is a necessity, it is totally reasonable to have it every day. Right?! Every time we are in Dubai anyway!